Are projects a problem for you? Do your projects cost too much, take too long, or are just not quite right? 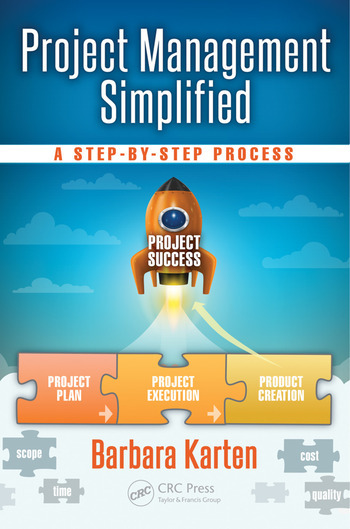 If so, Project Management Simplified: A Step-by-Step Process is the book for you. It applies well-defined processes for managing projects to managing change in our lives. It describes an approach modeled on a process used successfully in businesses, not-for-profit organizations, schools, and other organizations. The skills and techniques are not unique to businesses and organizations; they are life skills available to everyone. There are a number of structured approaches that guide the successful completion of projects in business environments. 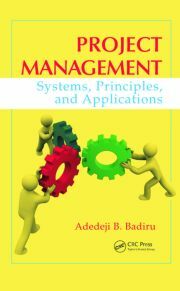 This book translates these processes and techniques such that nonproject managers can easily use these proven approaches in a nonbusiness context for their own projects. It removes technical jargon, the need for computer software and hardware, and complicated organizational environments, describing the essential project management processes in a simple, straightforward manner. As you progress through the book, you connect the dots necessary to complete your personal projects. A sample project in the text and a case study in the appendices further illustrate the concepts explained in the text. The author challenges you to select a project and, working along with the book, be the project manager and develop a project plan. By working with customers and funders of the project, defining the project, identifying how long it will take, and determining its cost, you will develop the expertise to define project goals and create a plan to reach them. How Much Planning Does a Project Need? "This book takes the complex techniques and terms of the corporate project management world and puts them into a language and context that is simple and easily accessible by anyone, even those with no experience in formal project management. The author has done both the formal project management discipline and the mundane world of everyday occurrences a great service. This book can bring about a melding that benefits both." "Project Management Simplified: A Step by Step Process is a great roadmap scripted in non-technical language that is easily understood by non-project managers. The straightforward writing, everyday examples, fundamental diagrams, and checklists break down the mystique of project management. 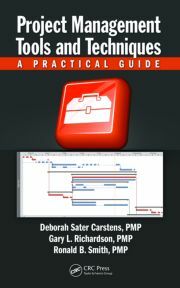 For the reader, the material encompasses the core fundamentals for a successful project. The flow of the material is logical and straight forward. 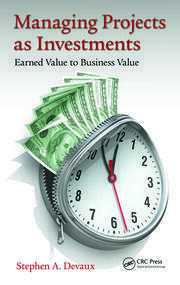 It is also a great refresher reference book for expert project managers!"